Offense: After a slow start to 2017, former Baylor transfer Jarrett Stidham turned things on at quarterback, finishing the year with 3,158 yards and 18 touchdowns. He was especially good in the big game, playing terrific football in upsets of two No. 1 teams, Georgia and Alabama. 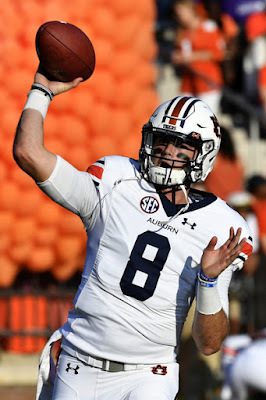 Stidham got some NFL interest but decided to return to Auburn for his junior season. With a huge arm, terrific poise and a confidence about him, you could certainly make the argument Stidham is the best signal-caller Gus Malzahn has had as head man at Auburn. That gives the Tigers a significant advantage they haven't had at times: a strong, stable passing attack. Helping out what should be a potent aerial game will be senior Ryan Davis, who broke the schools' single-season reception record with 84 last year. Davis is small in stature, allowing him to exploit holes in defenses, and he possesses excellent burst. He should have another productive campaign catching throws from Stidham. Juniors Darius Slayton and Nate Craig-Myers are also returning as quality options. At tight end, the Tigers are hopeful a pair of little-used veterans, senior Jalen Harris and junior Sal Cannella can step up. The two combined for just four catches in 2017, but they are established blockers. Gus Malzahn and Auburn have always been able to find quality running backs, which they will have to do this season with the departure of Kerryon Johnson. Johnson was an absolute workhorse for the Tigers, finishing the season with 1,391 yards and 18 touchdowns, good enough for ninth in Heisman voting. The expectation is that junior Kam Martin will now see the bulk of carries, and should have a breakout season. Martin managed 453 yards a year ago and while he doesn't possess Johnson's power, he is much more dangerous in open space. Two newcomers, Harold Joiner and Asa Martin, both come from inside the state and could see some early action. If there is a concern on this offense it is the offensive line, which watched as four starters graduated this off-season. Junior right guard Mike Horton is the only returnee with significant starting experience, although there is real talent throughout this group. Left tackle Prince Tega Wanogho did see a good amount of playing time in '17, and should also be an anchor to this unit. Auburn averaged 33.9 PPG last season, which was fourth in the SEC and 25th nationally. 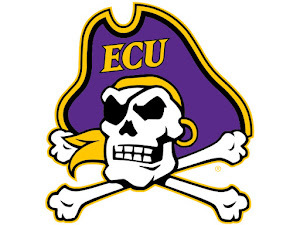 They managed that despite scoring just six points against Clemson and one lone touchdown versus Georgia in the SEC Championship. If they can rid themselves of some of that inconsistency, they are going to be very, very good. The O-Line will have to be figured out, but Stidham, Davis and Martin is a strong enough core for Malzahn to work his magic. Defense: In the early years of the Malzahn era on the Plains, defense was simply an afterthought to what the Tigers could do offensively. That was certainly changed, as Auburn possesses a deep, stingy group of defenders headlined by one of the nation's strongest defensive lines. The defensive front is led by three established veterans, juniors Marlon Davidson and Derrick Brown, along with senior Dontavius Russell. Davidson is their most natural pass rusher coming off the edge, but Brown and Russell's impact should not be understated in the interior. Russell is an elite run stopper that knows how to win in the brutal SEC, while Brown has the upside to be an absolute monster. Add in sophomores Nick Coe and T.D. Moultry, who are battling it out for a vacant end spot, and this pass rush is fast, athletic and lengthy. 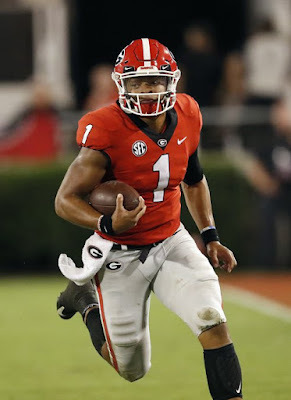 By the end of the season, I don't think it is going to sound crazy saying this is the best front seven in the SEC, a conference known for the talent it produces there. Senior Deshaun Davis is the key cog back to lead the linebacker corps, which has a ton of depth. Davis is the team's top returning tackler after racking up 82 last year, but he can also get after the quarterback, with four sacks in '17. Two other seniors, Montavius Atkinson and Darrell Williams, are the slated starters at the outside linebacker positions. Expect defensive coordinator Kevin Steele to let these linebackers roam all around the field and even rush the QB pretty often. Contrary to the front seven, Auburn's secondary isn't loaded with a ton of proven experience or depth, but this unit could still be fairly strong. The cornerback position has got to be considered a strength, with juniors Jamel Dean and Javaris Davis back. The pair is physical, confident and aggressive, which they'll need to be in the hard-hitting SEC. Another junior, Jeremiah Dinson, is also returning to fill the starting role at free safety. It will be interesting to see whether this group can force more turnovers in 2018, something they really struggled at a year ago. The Tigers had just six interceptions last season, likely a major reason why they were 71st nationally in turnover margin. With all the fireworks Stidham and the offense will likely produce, the defense should be the real guiding force on this team, especially once conference play begins. The front seven is so nasty and the back-end has enough potential to imagine this being a Top 10, perhaps even Top 5 unit in the country. Special Teams: It is a new day for Auburn at kicker, where they must replace the program's all-time leading scorer, Daniel Carlson. They will simply turn to his younger brother, Anders, as their placekicker. Anders has a huge leg, but the freshman obviously lacks the experience of his older brother. The return game is led by Ryan Davis, who is trying to break Auburn's spell of not being able to return a punt or kick for a touchdown, something they haven't done in over thee years. Auburn was an weird, fascinating team a year ago who beat two No. 1s and looked like one of the country's clear-cut best teams, but also had a number of moments where they came out flat or uninspired. This team should have more consistency, thanks in large part to a stable QB situation and a defense that is only getting better. However, the real test to see whether this team really can take the next step forward is in their opener, where they square off against the Pac-12 favorite, Washington. A win there and the Tigers look like a lock to win 10-plus games and be firmly in the Playoff chase. A loss, and they enter a brutal conference slate of games (which includes a road trip in the Iron Bowl) already with one loss, likely dooming a return to a New Year's Six Bowl.